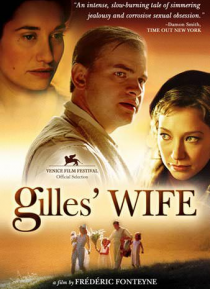 In a small French mining town in the 1930s, Elisa is a devoted wife and mother passionately in love with her husband Gilles. She spends her days caring for their two young daughters, while awaiting the birth of a third. Her beautiful and carefree younger sister Victorine drops by often to play with the children and help around the house. Elisa is content and fulfilled, happy with her life. One nig… ht, however, she is overtaken by troubling thoughts. Elisa begins to suspect that Gilles is having an affair with another woman. Determined to save her marriage, Elisa undertakes a strange and disquieting battle to recover what she has lost, and to become, once again, Gilles' wife.